This entry was posted in The Writing Life and tagged Christmas. Loved all of it. I have been in Ontario for 47 years and only went home a few times for Christmas during that time. You know after Bill and I used to got to your Grandparent’ s place on our way to Bill’s Parents in Kitchener. Way before you and Danielle. It was part of the tradition. And now Bill’s Mother is in Retirement Living near us so comes here for a couple of days. I have always had Christmas dinner here. Bobby and his Family come over in the afternoon and this may be Heidi’s last Christmas here as she is moving to Scotland and getting married in July. Now depending on Sam’s shift she may be here or not. We now go to our cottage after Christmas for a week or so, now that we are retired and put up a fake tree ??? I also remember how much your Mom loved Christmas and how they shook the bells after you guys went to bed. Going to see Frank and Leslee? I have to call her one of these days. Take care and have a drink for me… White wine please….lol. 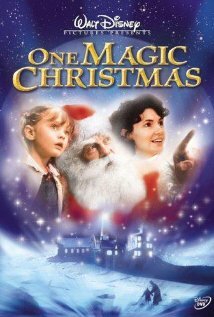 I love the movie One Magic Christmas! Hubs and I also moved away from our homes (19 years ago) and had to create our own Christmas, which we now share with our kids. It can be done and it can be AWESOME! Merry Christmas! Ah! Someone who knows that movie! I have it on dvd. It’s the best!